I encourage you to check out the blog, White Awake. Their mission is to bring contemplative spiritual practice to white affinity work around race and inner transformation. If we want to abandon the thoughts and belief systems of an oppressive racial hierarchy we will need new ideas and paradigms upon which to build a more accurate understanding of ourselves and of society. Waking up to Race is the place in this website where you can find White Awake’s core assumptions about race. 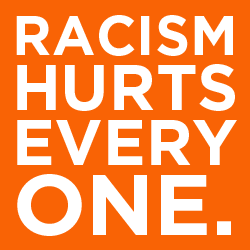 Racism is alive: culturally, institutionally, and at the interpersonal level. Questions of power, privilege, inclusion and exclusion are complex. With awareness comes the power to change. Race and racism are not personal issues but societal patterns. Rather than focusing on whether or not we are racist, white people can instead focus on building racial awareness and taking action for a just society. White supremacy affords material comfort and social privilege to white people, but this privilege comes at a cost. This cost can include a loss of connection to our own humanity. It is in our self interest, as white people, to eliminate racial oppression. In acting for ourselves, we act for the whole. In acting for the whole, we act for ourselves.